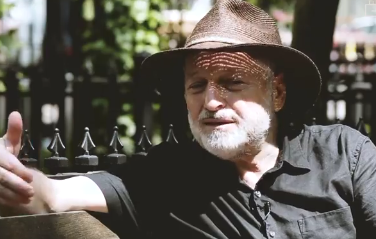 'The politics took over, but fundamentally Egyptians are the nicest people,' says Andre Aciman in this sentimental clip on the Egyptian site Elsaha. Aciman left his native Alexandria aged 14. Speaking to Elsaha in a mixture of Arabic and English, Aciman has passed on all the words he knows, including the curses, to his children. The author of Out of Egypt, a childhood memoir, Aciman recalls that propaganda confused Jews and Israelis while he was growing up. Eventually he felt he did not belong in Egypt. 'Egypt is still a beautiful place, and Egyptians are the nicest people I have ever met' he says. Among his cherished memories are going to the beach on a hot day and returning to a wonderful lunch.